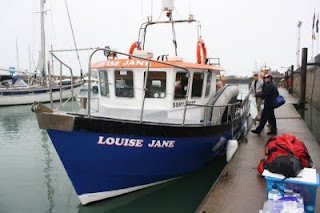 We've just received 'that' call from our support boat skippers and it's time - the last three members of our English Channel squad are swimming tonight, starting out from Dover in the dark of the early hours of Saturday morning as the tide turns - and you can watch them swim live at www.channeldare.com! 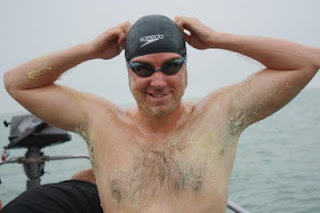 Two years of preparation and training will be brought into sharp focus at 4am on Saturday as Swim Smooth Head Coach Paul Newsome, Paul Downie and Andrew Hunt hit the water and take on the challenge of this mighty 34km swim. The guys would love to have your support during their swims and with the technology at their disposal, the support crews are able to pass your messages live to the swimmers during their feed stops! When posting messages, don't forget to include your name and where you are in the world. The Technology Is With Us! 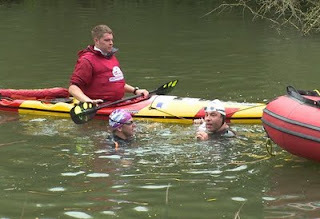 If you would like to post a message of support right now, please do so on the comments section of this blog post - the guys will read these before starting their swims. You can post messages in the comments section there. The twitter feed is embedded in the Channel Dare site but you can also view it directly and become a follower here: twitter.com/channeldare. You can tweet the support teams directly from there. 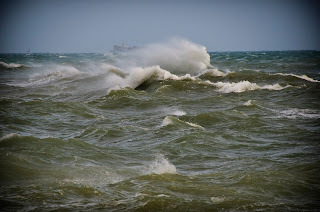 - Very strong tides rip through the channel every day, with a typical tidal range of 7m. These make it impossible to travel in a straight line, instead swimmers are dragged sideways forming an S shape path over the course of the swim. Don't worry, that's normal and is why you need a professional boat skipper to navigate correctly! 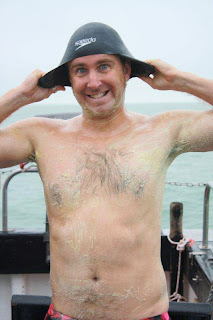 - The water temperature is 14-15°C (57-59°F) and strictly no wetsuits are allowed! Each of the swimmers have gained between 15 and 25kg to provide insulation for the cold and have spent many long hours of training in cold water to adapt. 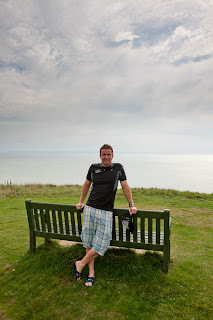 - Each swimmer will take somewhere between 9 and 15 hours depending on the tides and weather conditions. 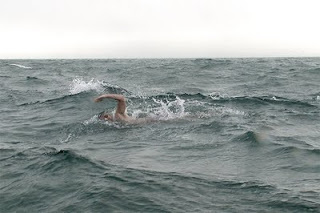 - Channel swimmers start in Dover, England and swim to France. 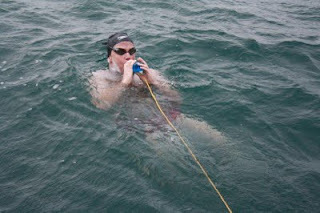 To complete the swim they have to clamber out onto French soil unaided. Unfortunately French officials don't like swimmers staying more than a few minutes in France so there's only time for a quick photo before hopping onto the support boat and heading straight back to England. 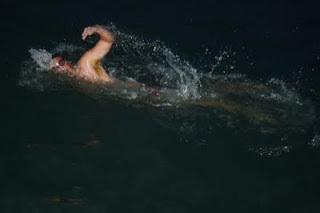 - Starting on the tide is critical so swimmers often start in the early hours of the morning in complete darkness. Swimming in the dark takes some practise as it is extremely disorientating - it's a great relief for the swimmers when it starts to get light out there! 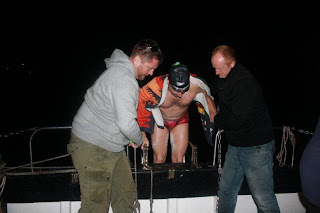 - To check the strict rules are adhered to, each swim is monitored by an official on the support boat. 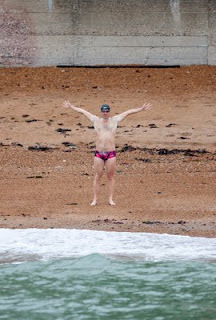 - Around 120 solo swimmers attempt the channel every year and only around 25% successfully make it. In fact more people have climbed Everest than swum the channel! You've got to be in great shape and very tough mentally to complete this swim and have a slice of luck on your side with the weather. Three of our four solo swimmers to attempt it so far have made it across successfully - a fantastic achievement! We're also raising money for Breast Cancer Care in WA. We've raised over $58,000 including off-line donations so far, if you feel inspired yourself by the team's efforts, please please make a donation to this very worthy cause here. 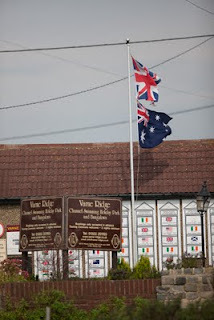 Wish the guys good luck for Saturday and watch out for a full report on the blog sometime early next week.